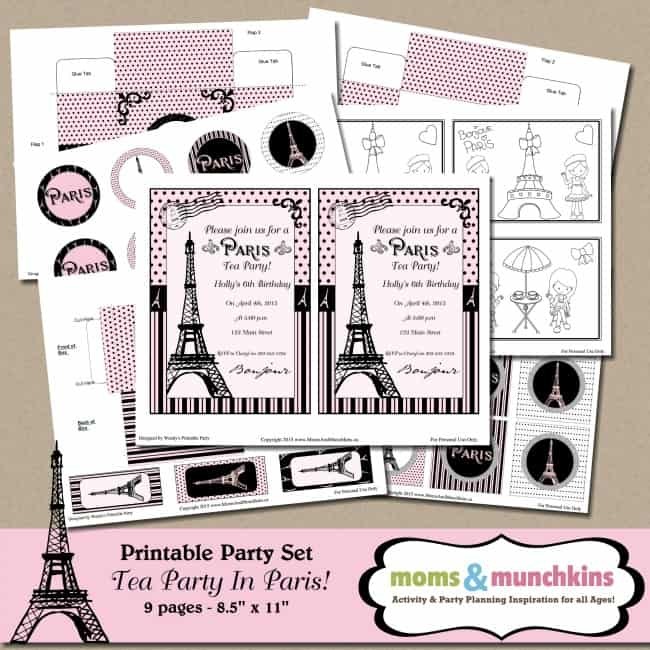 This sweet Paris Tea Party would be fun for a birthday party or even just a tea party play date for little girls. 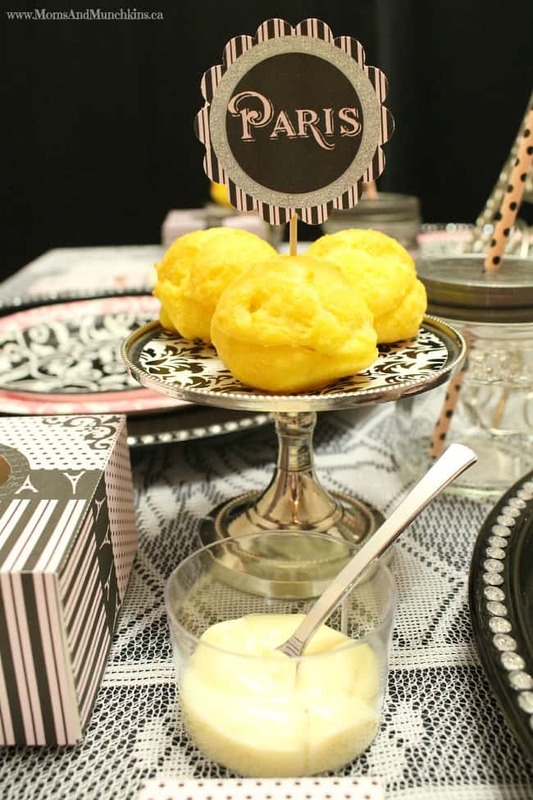 It’s such an adorable idea that includes ideas both for tasty treats and a fun activity. 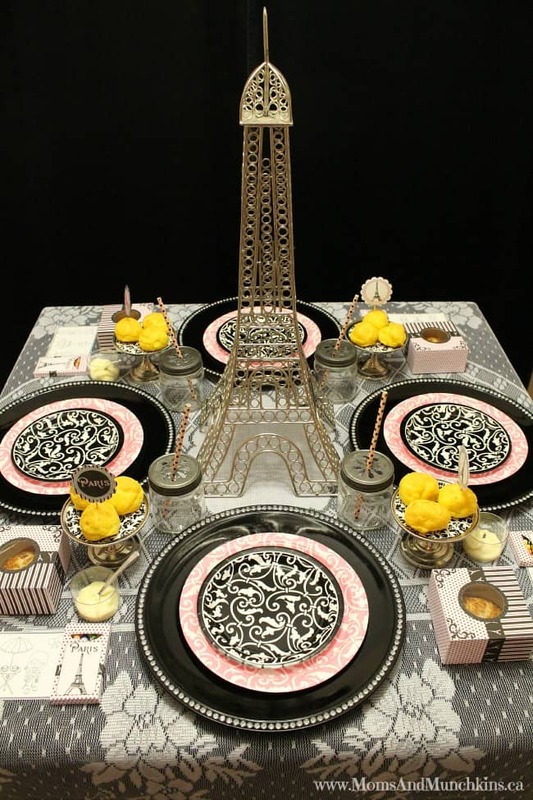 Paris parties are so easy to set up because you’ll find decoration ideas everywhere! I found most of my supplies at discount home decor stores. Oh, how I wish I lived closer to a Hobby Lobby – the ultimate destination for adorable supplies! Have you even been to Paris? I haven’t but it’s on my list of places to see. When I do go, I’m sure I’ll spend most of my time inside all those delicious bakeries! 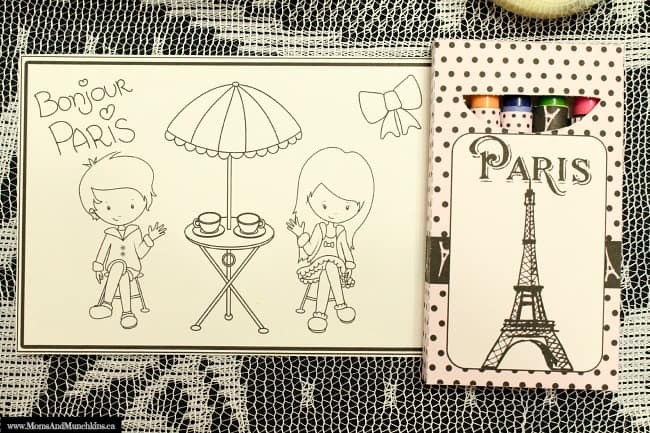 This set starts with a cute invitation that we personalize for you. Delicious treat ideas include bakery items like cream puffs, cream puff cake, eclairs, scones, danishes or other bakery treats. 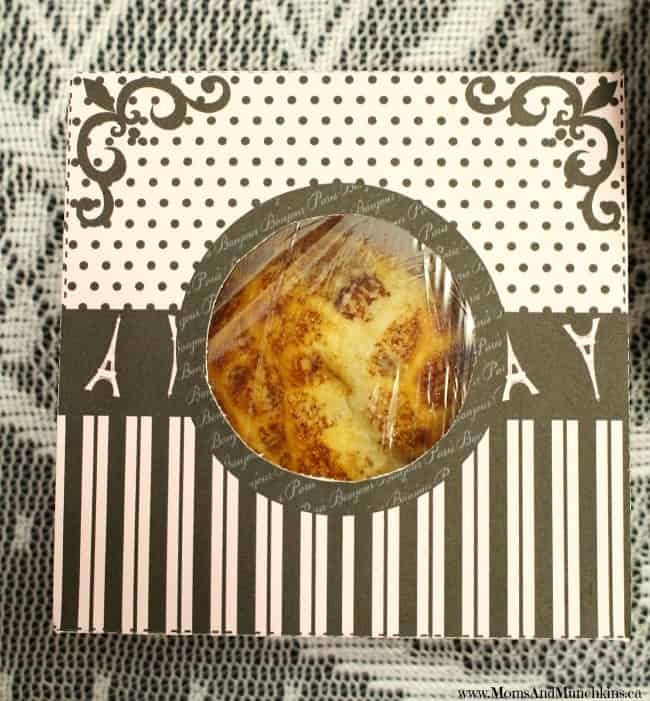 You can send some of those treats home in this adorable bakery-style treat box. We packaged ours with cinnamon buns but a tasty idea would be donuts that you let the guests decorate themselves with sprinkles and candy. 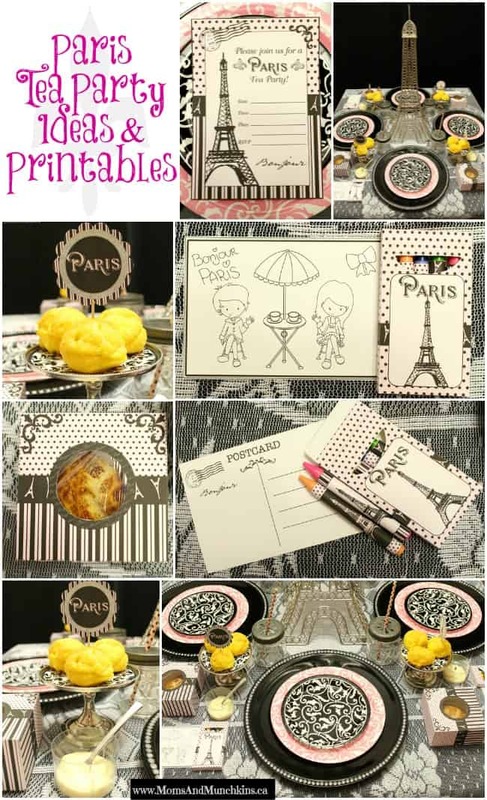 I love this idea for a tea party activity – postcards! 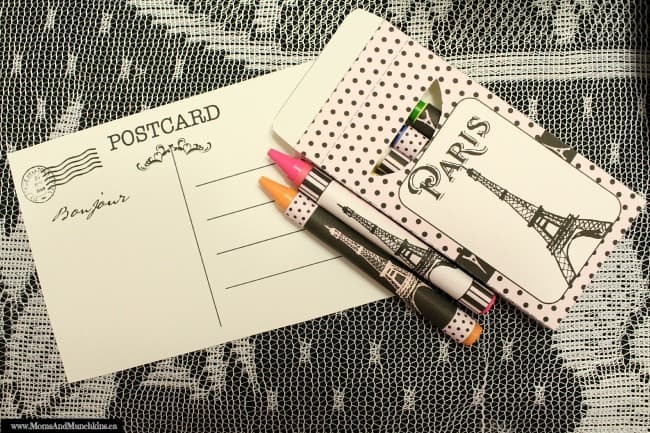 These double-sided postcards come with a Paris crayon box and crayon wrappers. 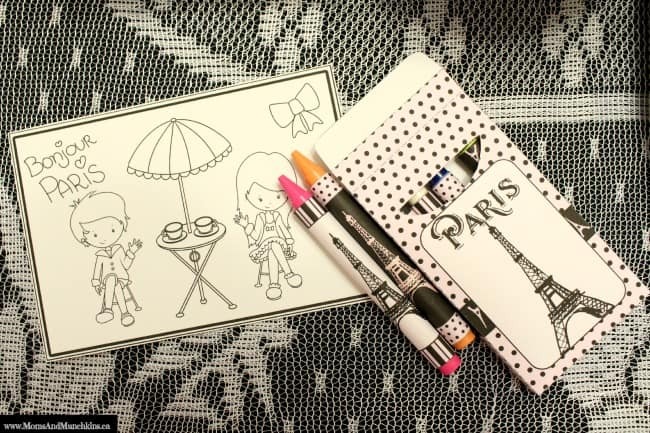 Guests can color their postcards and then address them to mail them from the party! They can mail them to themselves or to a special friend or relative. 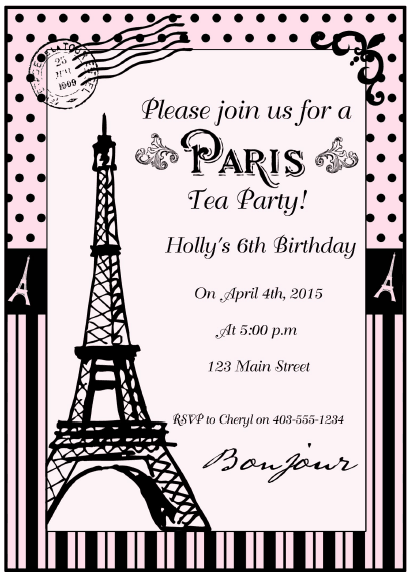 This Paris Tea Party set is now available in our Etsy shop. It’s a digital set so you print it out at home yourself. Thank you to the talented Wendy of Wendy’s Printable Party for designing this adorable set for us. We hope you have a fabulous party filled with giggles and lots of bakery delights! For more party ideas, visit our Birthday Party page. *Adorable images for the postcards courtesy of Prettygrafik Design.